In this episode Angie teaches you 4 Instagram tactics you can use to really grow your business or your brand. Using these 4 strategies, you will really (I said really) increase your customers and your sales! 4 Powerful Instagram Actions To Grow Your Business (For Real!) Discover in what way social media can grow your business and what are the exacts benefits your business can get. Hello everyone! Welcome to Social Media Money Up. Episode 7. In this episode I will talk about how you can use Instagram to really grow your business or your brand using 4 strategies, that really (I said really) increase your customers and your sales! In case we haven’t met before, my name is Angie Perez B, I’m a Social Media Marketing expert and you can find me on Twitter at @Angi9z and on Instagram at @AngiePerez.B. if you are new to this podcast, please consider subscribing. I record weekly podcast about the best techniques to grow your business or your blog and making money using social media and digital marketing. So today we are going to talk 4 particular actions you can take to grow your brand and your sales.If you have a business, you shouldn’t miss the possibilities that you can get with Instagram. If you know how to use it properly, Instagram can be a powerful tool to expand your brand, communicate with your potential customers, show your products, drive people to your business and increase your conversion rates.I’m going to show you 4 super powerful tactics that will actually grow your business and help you earn more money buy increasing your customers or sales. Listen up! Take some time to outline and plan your future content for the next few days. Why do you want to do do that: Because you want to create a STRATEGY. If you are looking at getting positive results, you need to have a strategy to reach your goals. When you are on Instagram you want to reach to your potential customers and convey your message to them. At the same time your message must seduce them (your message is your content, your bio, your stories, your posts, your products, your colours, your style, etc.). When you have a plan for your content, you will be able to allocate the different messages in the right moments of the week or month. You also need to be consistent which means posts regularly. My advice is that your post on a daily basis (one post a day). You can also plan your stories and highlights. You can post as many stories as you want, but keep your feed to one post per day. Some ideas for your stories: showcase your products, show your promotions, tutorials or tips about your products, behind the scenes of your brand, asking questions about your products or services or run a poll, announcements, news, and pretty much anything. Don’t forget to geolocate your stories and add relevant hashtags! Write a compelling BIO. Your bio is also part of your message, and if anyone visits your profile eventually, your bio is your opportunity to attract a new follower and a future customer. Now, these are the elements of the perfect bio to help you grow your business: You bio should let your audience know: who you are what you do /what you sell / what service your provide / etc. and to whom You should also add relevant hashtags and mention other accounts you want to promote (in case you have one, like a second brand, for example). A call to action: Mostly you want to drive people to your website, so don’t forget to add a call to action to click on the link where you want to drive traffic to (your store, your website, etc.). So now you know, use the 150 characters of the bio wisely and try to attract your target audience. Partner up with micro-influencers. A micro-influencer is an instagram account that doesn’t necessarily have a huge following, but does have a huge engagement and influential power over their community. 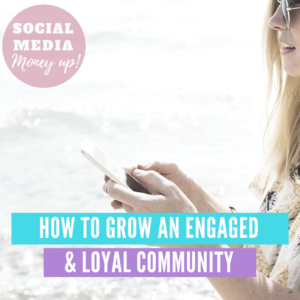 That community doesn’t have to be very big, but it is very engaged with the micro-influencer. The idea for you is to pick those influencers whose philosophy and followers are similar or related to yours. For example, if you sell rings, maybe you can consider to partner with a nails fashion stylist with a great engagement within their tribe. Collaborate with as many influencers as possible so that your message can reach a bigger audience. You can find them on Instagram and contact them via DM or email. Normally you send them your products, and hey will promote your product or service, in exchange of a compensation previously agreed. Sometimes it just can be as easy as mention one another on each other’s accounts! Make your instagram shoppable. Did you know that your can integrate your Instagram account with your ecommerce store? You should not miss this opportunity at all!!! Why? It makes it to be easier to buy, which means you will improve your ecommerce performance! You just need to take beautiful photos of your products and tag their product with the name of the item and the price. I will suggest that you take nice photos of people in real life using your products (for example if your products are clothes then people wearing your clothes, etc. ). What I m trying to say is that don’t make it just the photo on the product. Tell a story with the photo and the caption, but then tag the products in the image. Shopping posts give people access to pricing and product details both within the Instagram feed and through the Shop button on your business profile Another big tip is using Stories to show your audience that they can now shop your posts. If you need help setting up your shopping on Instagram feature or your shopping posts, take a look at my blog posts on my website radianstar.co, (I will leave the link to the tutorial for setting up your shoppable instagram in the show notes). Well, those were my four super strategies that will help you earn more money and increase your sales and your customers. 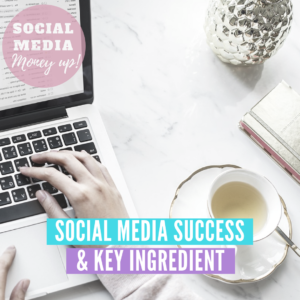 Please don’t forget to leave your questions or comments on my Facebook group called Social Media Money Up Group, a place for collaborations, offering services, requesting help, sharing your projects, asking questions, inspiring and learning from one another!!! See you in the next episode of Social Media Money Up! Happy Socializing! !